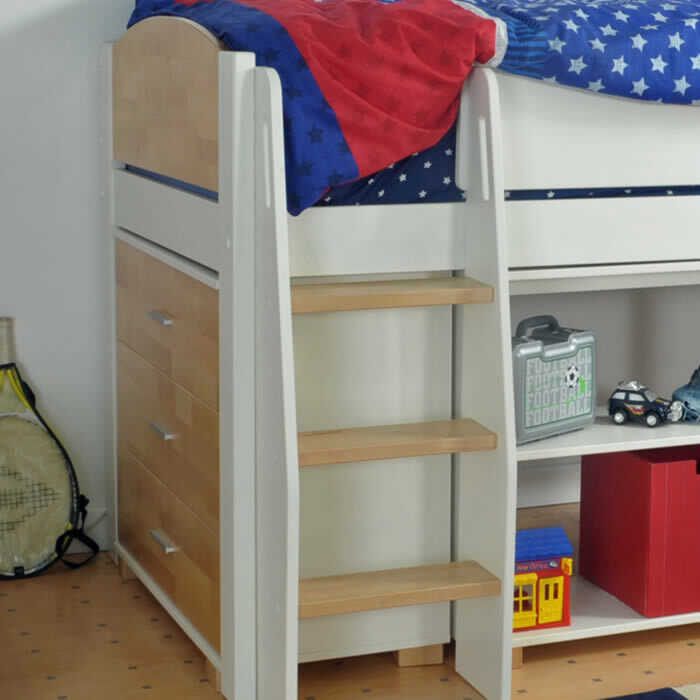 The Kids Avenue Urban midsleeper children's bed set 6 features a solid pine and birch frame, 3 drawer chest and two low shelving units for additional bedroom storage. 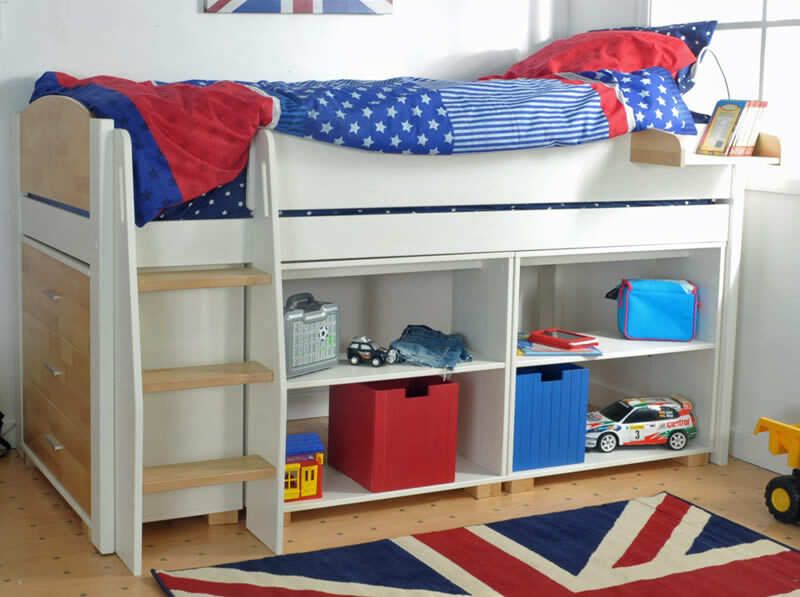 For access to the Urban's sleeping area a reversible 3 step ladder is provided which can be positioned to the front left or right side of the bed frame. 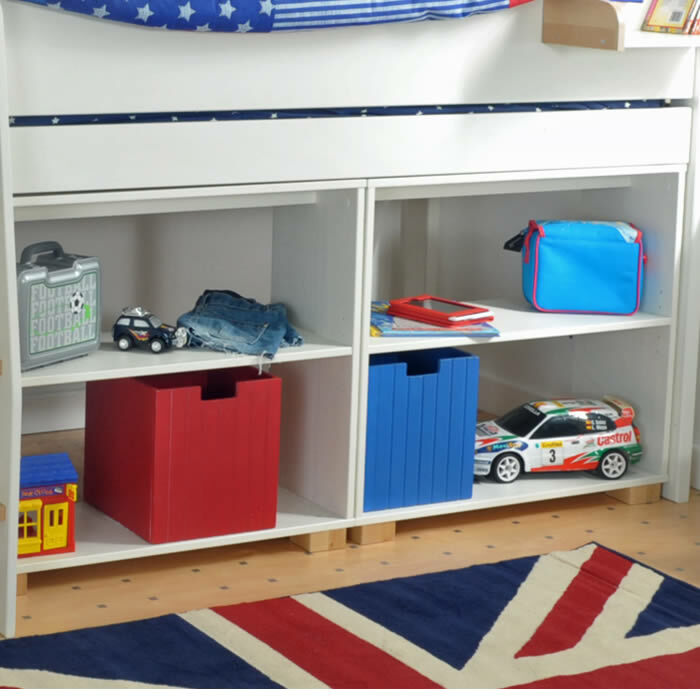 Designed for use with a 90cm wide by 200cm long mattress offering your child plenty of space to grow and make use of the sturdy Urban midsleeper bed. 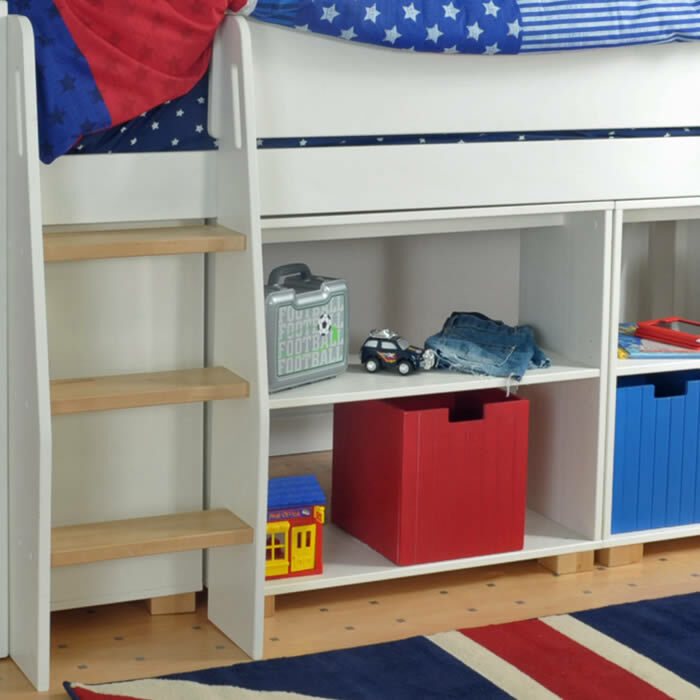 The solid pine frame has a white finish with natural birch steps, head and foot boards.